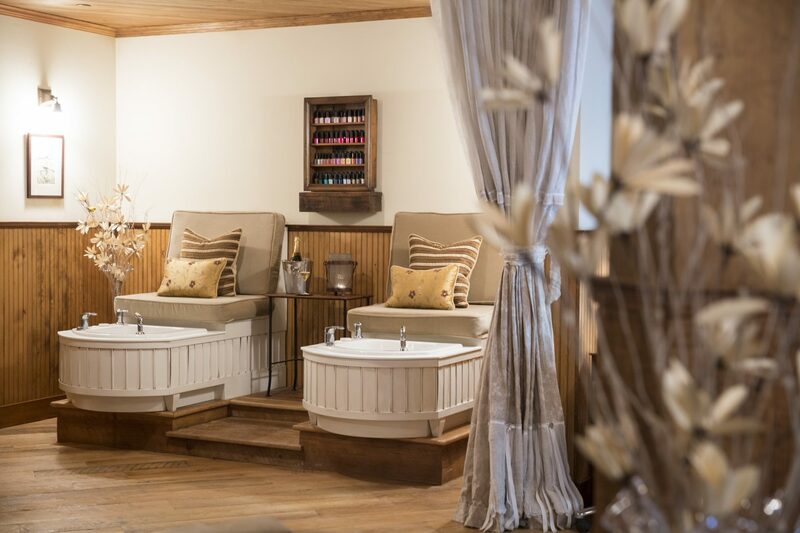 The Granite Spa‘s signature spa packages are designed to heighten the nature spa experience by combining popular restorative treatments and mindful natural movement. Your Ranch Ambassador can seamlessly incorporate these longer luxury spa sessions and half-day retreats into your custom itinerary. Channel the refreshing waters of our namesake stream with our most popular luxury spa experience. Begin with a 45-minute Clearing Sagebrush Scrub to renew your skin cells. Rinse away dead skin in a warm shower, after an invigorating exfoliation, followed by a gentle body oil application. 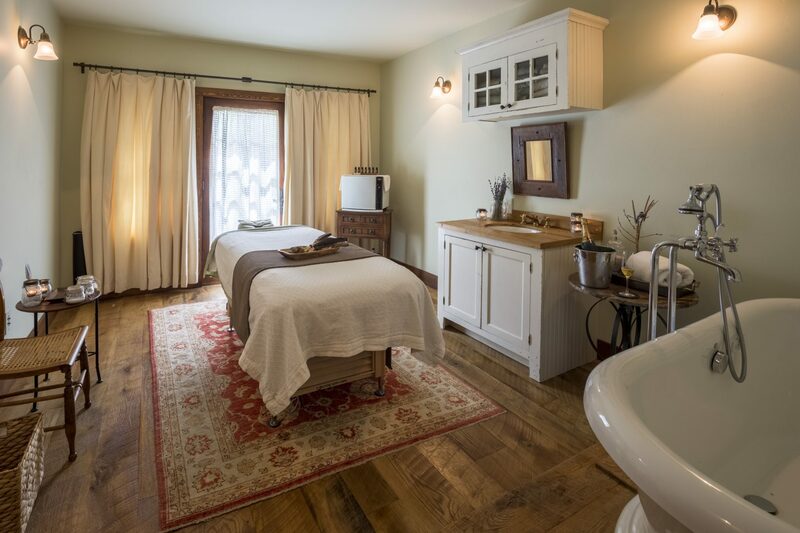 The ritual flows into a 60 or 90-minute signature restorative massage using hand-picked essential oils and Swedish massage to target muscles until they feel as fluid as Rock Creek. Connect with a spouse, friend or loved one on a luxury spa escape. Sip on champagne, artisan cocktails or mocktails created by our talented bartenders during a 20-minute foot soak in our jetted tubs. Next, you’ll enjoy parallel treatments, either 60 or 90-minute massages, in private treatment rooms. In the cooler months, consider reuniting in the cedar sauna to melt away any remaining tension. Perfect for a mother-daughter day, anniversary celebration or friends’ weekend away. Decompress from the fast pace and stress of city life by spending three and a half hours unplugged and unwinding in our wilderness spa and environs. Embark on a 45-minute fitness class. Then, enter our nature spa for a 45-minute Clearing Sagebrush Scrub using our own foraged wild sage. Enjoy a gentle application of body oil followed by our 60-minute signature restorative massage. Finish your treatment with a 60-minute Rock Creek Custom Facial designed to clear pores and moisturize or a 60-minute Head, Hands and Feet Rejuvenation aimed at massaging the scalp and extremities. This popular treatment is a perfect way to ease into the pace of Ranch life or take a little bit of the slow life with you on your return home.